Preheat oven to 160°C (325°F). Line a 12-hole (⅓-cup-capacity) muffin pan with paper cases. Following the packet instructions, mix the baking mix with the banana, oil and eggs to make the wholesome banana bread batter. Add the chocolate chips and mix to combine. Divide mixture between the muffin cases and bake for 30–35 minutes or until cooked when tested with a skewer. Serve. Makes 12. 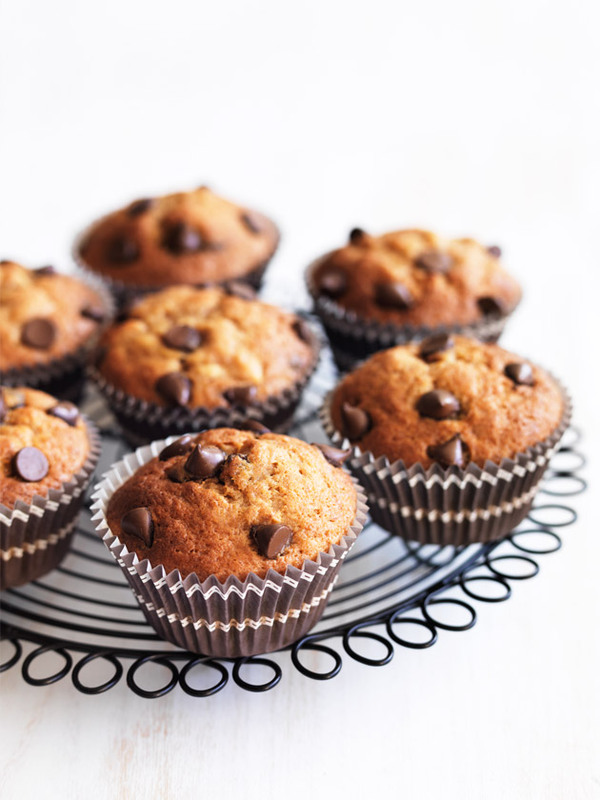 Fantastic, delicious muffins, but this recipe makes more than twelve - I got sixteen.